Strength training centers around the basic desire to get stronger, and stronger. If you aren't getting stronger, then alter your regimen with these tips. Strong men have held the world aloft for millenia. Weak people don't get stories written about them. Weak people won't have their names on the lips of strangers as they pass. The strong survive this world. The strongest rule it. For now, a 225-pound 1-rep-max bench press is adequate, but if you don't soon progress to see the strength gains you demand, then getting under those familiar four plates might seem more embarrassing than awesome. If this sounds familiar, it's time to make some adjustments to maximize your strength increases. Try any or all of these adjustments to achieve increased strength and enjoy strongman status. Rule your life, or be ruled by it. Your choice. If you're typically performing the bench press, you may want to try incline press as your main lift for a week or two. This change in exercises will alter the stress being placed on the body and can produce faster strength adaptations. As a result, when you move back down to the flat bench again, you'll feel stronger than you were before; and that double bodyweight bench max may not be so far out of reach. Choose exercises that focus on the weak points of the lifts you want to improve. For example, if during max-effort squat attempts you find yourself losing the weight forward, switching to a Good Morning will help you finish that attempt. If you find yourself struggling with the lockout when you bench press, a few weeks on the board press, chains, or bands should clear up the problem promptly. Utilize this principle by doing sumo squats rather than front or back squats, or try weighted pull-ups rather than lat pull-downs. The strongest powerlifters in the world spend half of their training time working on accelerating light weights quickly. And whenever they're moving heavy weights, they're always trying to move them fast. They're trying to increase the rate of force production. You recruit more muscles when you move weight quickly. Whether it's the bar or your max bench press, you need to move it with your maximum force. Lifting slowly is for hypertrophy, not strength. 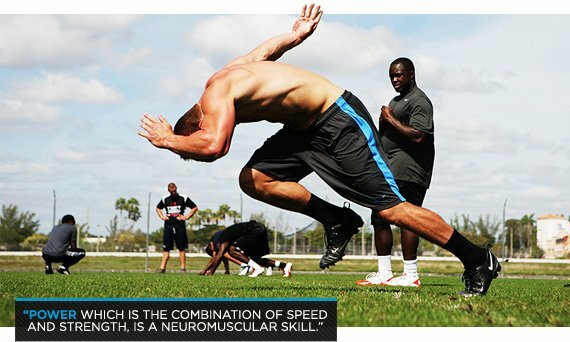 Power, which is the combination of speed and strength, is a neuromuscular skill. Focusing on acceleration (without compromising technique) teaches you to recruit more motor units and helps them learn to work at the same time. This component of strength is one of the reasons people with similar levels of muscle development can have radical differences in the amount of force they produce. Using correct breathing techniques, like exhaling or holding your breath on the contraction (concentric) portion of the movement can help your body generate maximum force capacity. If it's been a while since you took note of your breathing habits, start paying attention. Most people are taught to inhale on the eccentric part of an exercise and to exhale during the concentric. While you should definitely breathe, this isn't the method that works best when you need to produce a large amount of force. In the everyday world, when you need to move something heavy, you take a big breath, push/pull while holding your breath, only exhaling after or during the completion of the movement. This is referring to movements that are near maximal effort, and it is known as the Valsava maneuver (holding your breath against a closed glottis while increasing thoracic abdominal pressure). It allows us to lift more (safely), braces us, and prevents pilots from blacking out. A lifter will probably not be squatting 600 pounds while slowly breathing out. A good warm-up set gets the muscle cell motor units firing. It also helps circulate blood so oxygen and nutrients get delivered to muscle cells. Practicing the movement pattern primes your CNS. The strongest lifters in the world usually start bench press with the bar. You should too. A warm-up set can also help delay fatigue so you're able to withstand heavier weight for longer. It might be tempting to walk in the gym and throw 300 pounds on your back; but do your mind and body a favor and warm up a little. If you want to increase your strength, you need to make sure you eat properly before you hit the gym. If you aren't taking in any form of glucose prior to your weightlifting session, you won't have the energy levels to perform the way you want to because low blood sugar levels are the fastest way to zap strength. Eat complex carbs and protein before a workout, not cupcakes. Too many simple carbs can cause a blood sugar spike and then a dip. You won't make any PRs with plummeting levels of blood glucose, that's for sure. Sometimes, the real reason you aren't lifting as heavy as you could is because you're teetering on the verge of overtraining. If you typically take a day off between full-body sessions or train consecutive days in a row, try taking two full days off. No cardio or no weightlifting, pure rest. If you're in the gym multiple times each week without giving your body enough time to recover, your muscles aren't going to build, and your bench press isn't going to improve. Even two days may not be enough. 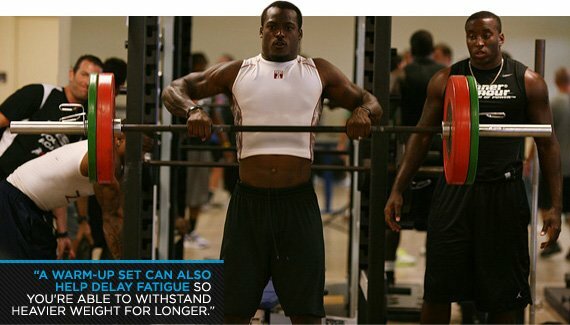 Many strength athletes can't handle maximum loads every week or they burn out quickly. If you find your lifts aren't going up consistently, you may need to rotate your intensity and include regular periods of de-loading, where you lift lighter weights for a week. A nitric oxide product could help enhance strength because it'll cause your blood vessels to dilate. Wider blood vessels mean greater oxygen delivery to your muscle cells and reduced fatigue. N.O. products can also help increase your mental focus—a definite necessity if you're going heavy. Heavy lifting is extremely taxing on the central nervous system, connective tissue, as well as your muscles. You only have so much recovery capacity, so doing many sets of heavy weights every session can drain your recovery systems dry. Do less overall volume. For bodybuilding, a couple dozen sets for one muscle group can be almost normal, but there is no way you're going to maintain your strength through that duration. Instead, do fewer exercises, putting the bulk of the volume into your primary movement. Keep your reps low, even on warm up sets. Instead of 3 sets of 10, try 3-5 sets of 2-5 reps. You will be able to move heavier weight and maintain your strength. If your goal is maximum strength gains, take out the isolation movements from your exercise regimen. Isolation exercises drain your recovery reserves, leaving you less able to give your best effort on compound movements. If you're doing compound exercises, you're already hitting the muscles isolation exercises would work, so there's no need to add additional isolation movements to a pure strength program. Stretching your muscles between sets can increase dynamic flexibility and improve joint mobility. Don't static stretch the primary mover, but dynamically stretch it. For example, if you're doing legs, do leg swings to stretch instead of standing toe-touches. If you have your heart set on some static stretches for rest, stretch the antagonist, or the opposite muscles than the ones that are doing the work. For example, if you're training your chest, stretch your lats and middle back. Some data shows that static stretching can temporarily weaken the muscle. If you're trying to move as much weight as possible, weakness is not your friend.